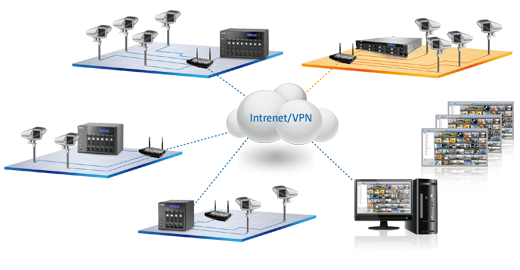 The VS-2104L VioStor NVR is the 2-bay network surveillance system for home and SOHO security applications. The VS-2104L support up to 8TB of storage capacity, with 4TB on each hard drive respectively, to accommodate high quality H.264, MPEG-4, M-JPEG, and MxPEG recording videos. 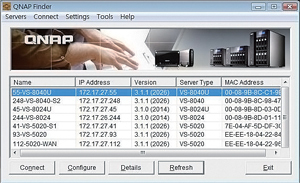 The unique multi-server monitoring feature of the VioStor NVR allows monitoring of up to 128 IP cameras from multiple QNAP NVR servers at the same time. No extra software is required. Instant alarm icon will be shown and the alarm channel will be highlighted to inform the administrator immediately if an event occurs. 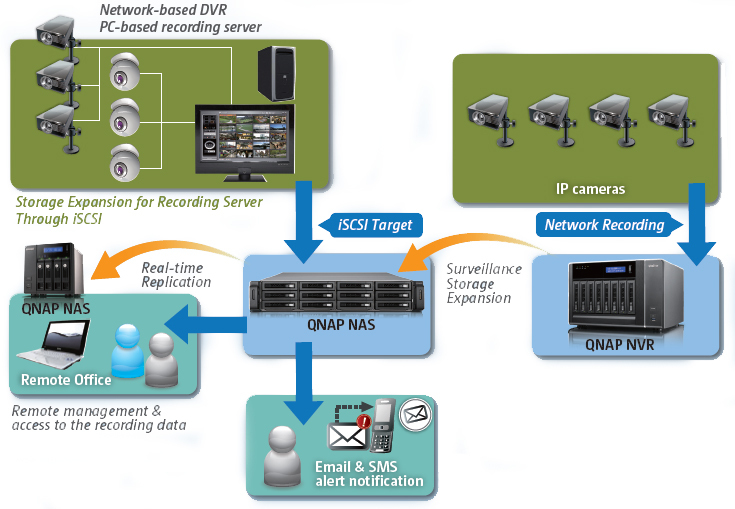 The VioStor NVR supports diversified recording features, such as scheduled recording, alarm recording by multiple alarm events, alarm recording schedule, and pre-alarm and post-alarm recordings. Advanced event management is provided for the administrator to define the handling options when events or alarms are triggered. 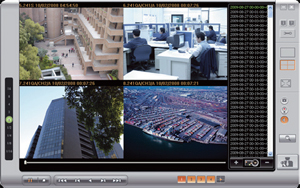 The VioStor NVR also offers enhanced video search by intelligent video analytics (IVA), such as motion detection, foreign object, missing object, out of focus, and camera occlusion. 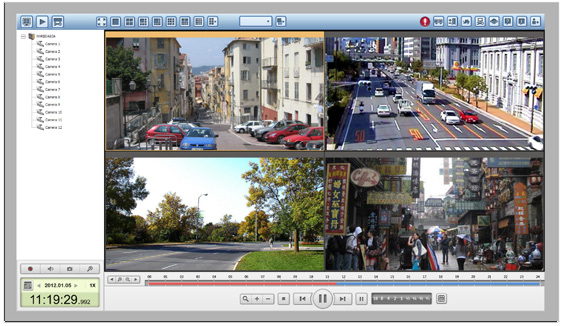 In addition to managing the VioStor NVR via the web-based administration interface on computers, remote monitoring of IP cameras is also accessible through VMobile app by Android phones, iOS devices, and Windows Mobile phones. 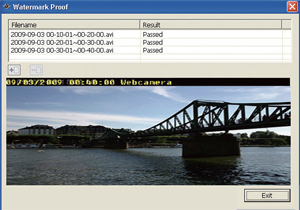 The mobile app offers great convenience to monitor connected IP cameras anytime on the go. 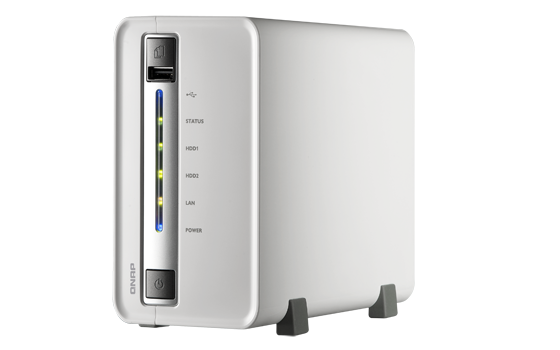 The VioStor NVR supports up to 8TB of physical storage capacity (4TB hard drive x 2) for recording a large amount of video data over a long period of time. 360° Panomorph Video Support the specific IP camera with panomorph lens on remote monitoring/playback.